This is a basic article related to Gns3 in which I ll show you that how you can add different IOS images of routers and switches in gns3 version 0.8.6 for performing different routing labs and switching labs. 1. 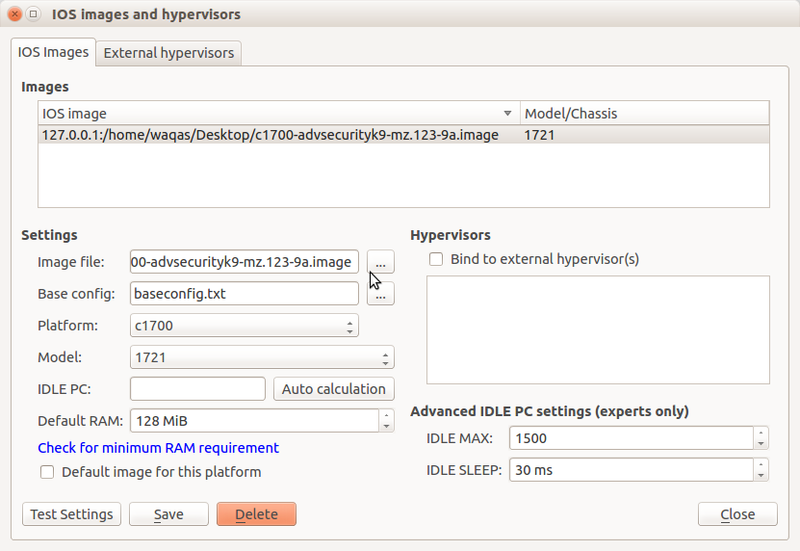 Open “IOS images and Hypercvisors” for edit menu. 2. browse for the image file in Image file and select the platform like 1700, 2600 or 3600 according to your IOS, then select the Model of your Cisco router. Click save for saving IOS. 3. For using this IOS into Gns3 typologies click on router symbol in upper left corner of GNS3 and drag the desire router IOS on dashboard. 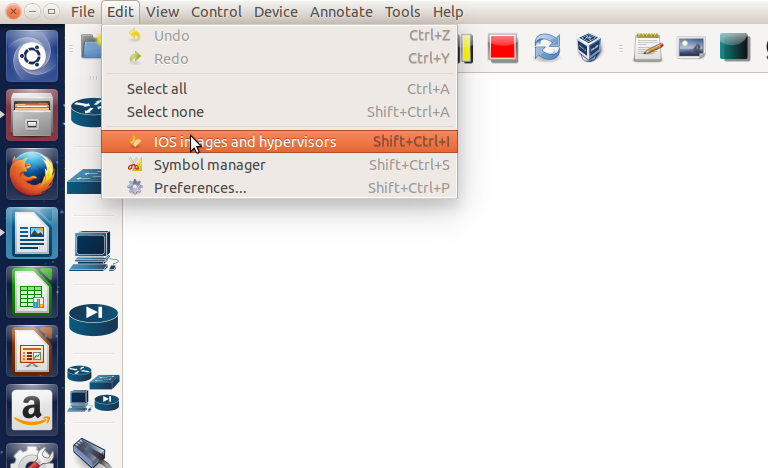 Similarly you can use switches and qemu host IOS in same way. You can download 1700 series router IOS for Gns3 from here and can use it for your GNS3 for performing different gns3 labs for learning purposes. The Cisco 1700 Series Modular Access Router are ideal for LAN and small networks, you can build a fast, reliable, and secure Internet and network access through these routers. 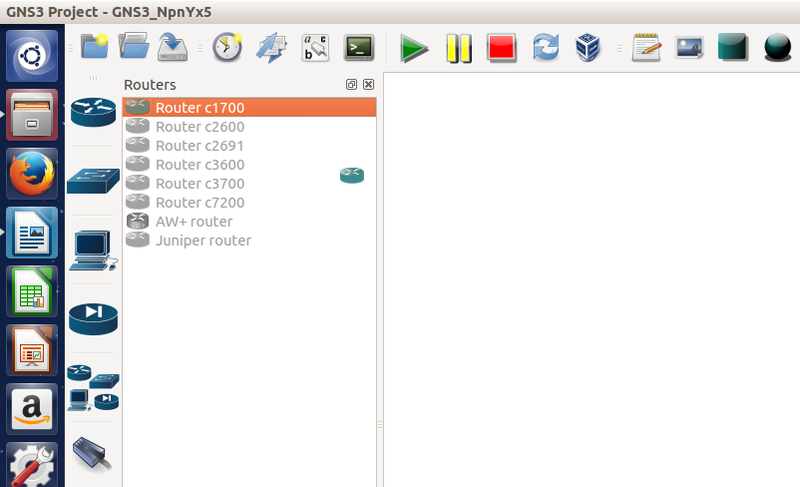 Please notes that you can use these IOS Image only in Gns3 topologies, in other scenarios these images may not work. IF this not work for you then you can try the following one...! This article is only for learning purposes in which I ll show you that how you can decode a Cisco enable secret password into clear text. When the "password-encryption service" is enabled on a router or switch, then the “show running config” command will shows an encrypted password using a hash algorithm as shown in figure that will hide your real password. You can revert this password with different utilities or using some on-line websites. you can put the hash in type 7 hash field and then click on reverse and you are done.